Be the envy of your neighborhood with an outdoor pizza oven. Serve delicious, fast, authentic Italian-style pizza in just minutes! 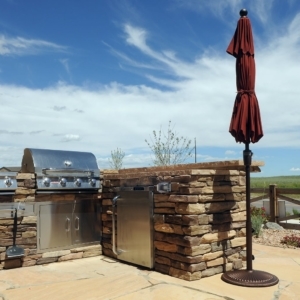 As part of your outdoor living environment, a pizza oven is a unique asset that can be designed to complement the rest of your landscape and will most certainly be a favorite among friends and family. Outdoor pizza ovens are versatile! They not only make the very best, most authentic Italian pizzas, but this great outdoor kitchen accessory can also be used to make bread, roast meat, and smoke vegetables. It can even be used on cold nights to enjoy pizza year-round! 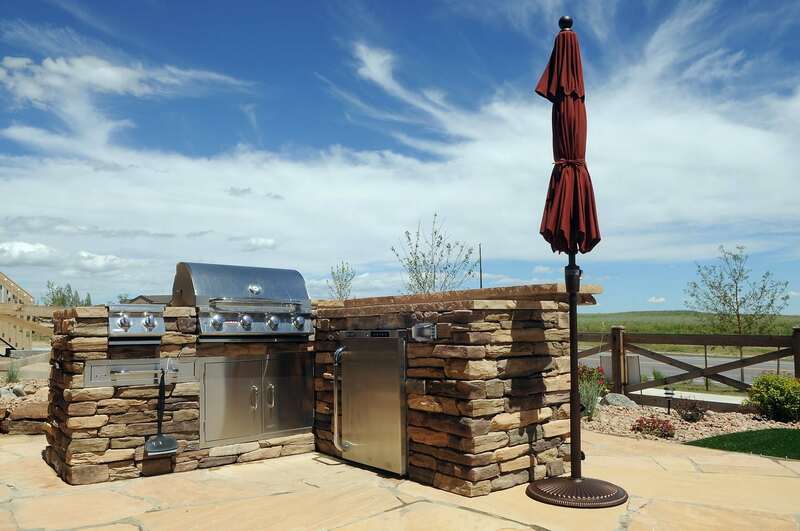 When defining what you want from your outdoor kitchen, think through the many elements that should be considered for an outdoor pizza oven design and build. Look at your garden space and cooking habits to determine the best size of your pizza oven. Think about the types of food, in addition to pizza, that you may want to cook to ensure your pizza oven is large enough. Consider clearance issues and any overhanging or overarching structures when identifying the best location for your pizza oven. Do you need a nearby sink or preparation area? Think through different features that might be necessary or useful. Imagine what design style, natural stone or outward aesthetic you hope your pizza oven to offer. 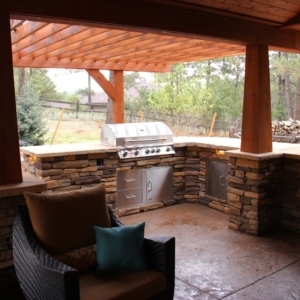 To build your dream outside pizza oven design, you should look to a custom design and build contractor that can offer the experience needed for this unique kitchen feature. 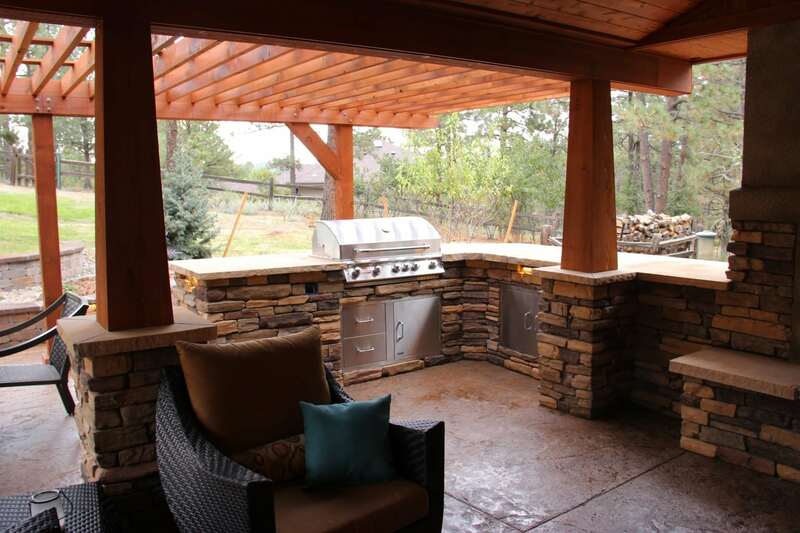 Your outdoor kitchen will then be both an exciting addition but also of the highest safety and quality. 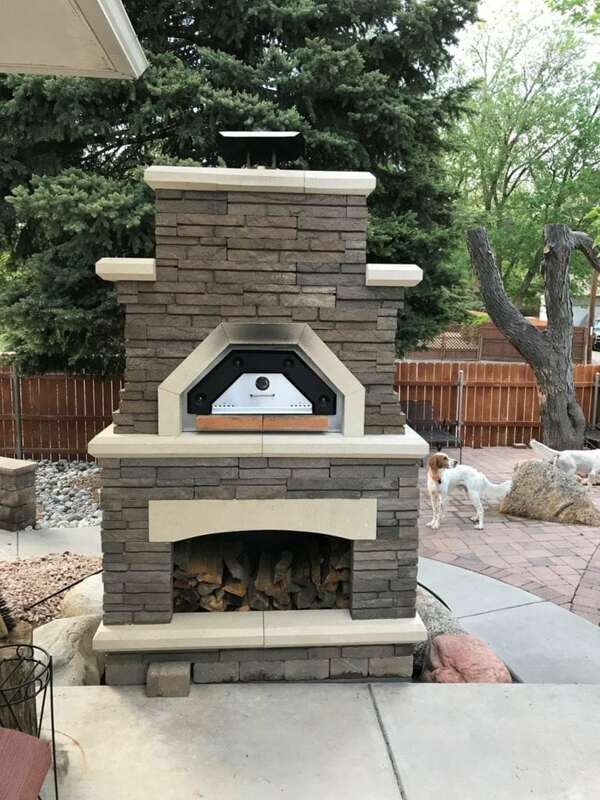 Jake’s Designs has designed, built and installed outdoor pizza ovens throughout the Colorado Springs area and surrounding neighborhoods for more than 18 years! We provide the highest level of expertise and knowledge as your local outdoor pizza oven contractor and will create a visual centerpiece for your unique kitchen to get you on your way to making delicious pizzas! 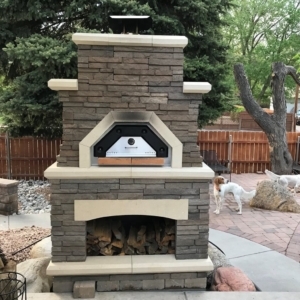 Working with Jake’s Designs offers a safe, effective, and quality-assured way to get your outdoor pizza oven project underway! We serve Colorado Springs, Broadmoor area, Chipita Park, Cheyenne Mountain, Black Forest, Flying Horse, Monument, Rockrimmon, and surrounding areas in Colorado Springs. Jake’s Designs also takes a sustainable approach to every project, donating usable materials and recycling excess materials. We are proud to help make Colorado Springs a more beautiful area in which to work and live. For inspiration, have a look through our gallery of projects!